The specter of fraud in American elections has pervaded our political and media landscape for a long time. In recent years it has been raised again as a key lever in arguments for or against certain state or federal election reforms -- in legislative and judicial bodies, and in the media. Allegations of voter fraud in elections have been widely publicized, but the question of whether voter fraud threatens the integrity of elections in the United States has long been neglected by serious researchers. 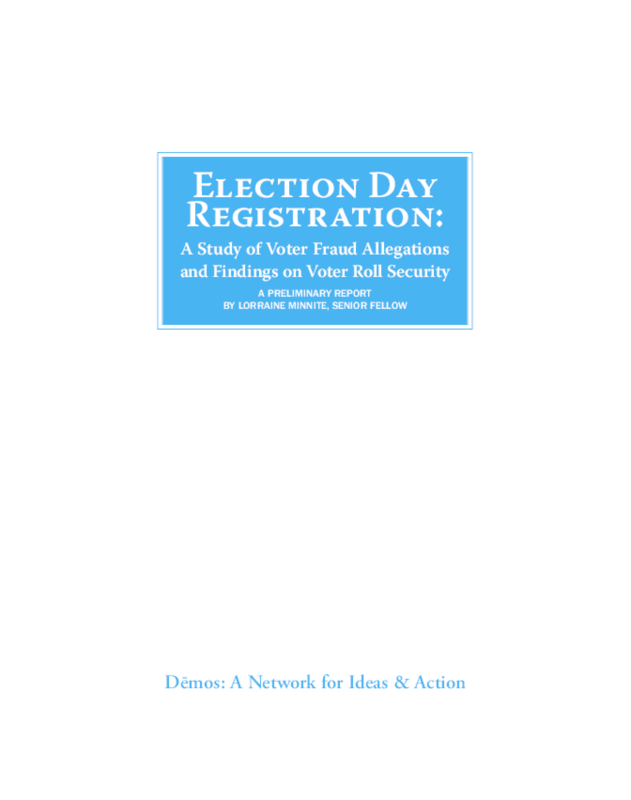 This report draws on my research into the scale and scope of the problem of voter fraud and the politics of election reform. Here I look at the question of voter fraud in states with Election Day Registration (EDR), a vital reform which, like other procedures that lower barriers to the vote, has been resisted based on unfounded allegations of fraud.